This is a quick note to say that on 6 April 2016 microchipping of dogs will become compulsory under the Microchipping of Dogs (2015) Regulations. This law came into force on 24 February 2015 but it seems that the compulsory micro-chipping aspect of this legislation starts on 6 April 2016. The law concerns the UK: England, Wales, Scotland and Northern Ireland. No doubt there will be a lot of people who will break this law as it will take time for it to settle in and for people to get into the habit of micro-chipping their dog. It is estimated that 25% of dogs are not microchipped. It is believed that around 3.3 million of around 8 million cats are not microchipped in the UK (41%). The interesting aspect of this law for a cat website like this one is that it does beg the question as to whether, in due course, compulsory micro-chipping of cats will be introduced. 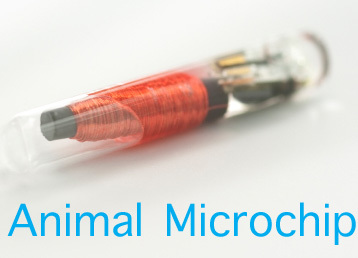 I suspect that the only reason why it will become compulsory to microchip dogs is because they are more dangerous and it is more important to identify owners; although micro-chipping is not cast-iron evidence of ownership for obvious reasons: mistakes can be made with the database. There are compelling arguments why it should be obligatory to microchip cats. I’m not sure whether I am for or against compulsory micro-chipping but I am for micro-chipping. There are many advantages, one of which is that a lost cat can be reunited with his owner more easily. Another obvious reason why micro-chipping is useful is because it should improve cat welfare. If an owner of a cat knows that they will be known should their cat be found to be suffering from neglect or abandoned, it should improve the standard of cat caretaking/ownership. It’s about enforcing high levels of cat caretaking which in turn should reduce the number of unwanted cats, an objective which is universally supported. Micro-chipping is not 100% medically safe, incidentally. There are one or two potential health hazards with the process but overall and in general cat welfare is improved through micro-chipping. This entry was posted in microchipping and tagged microchipping cats, Microchipping Pets including Cats, pet microchip by Michael Broad. Bookmark the permalink. Unfortunately, unless a cat is very docile, most animal shelters won’t check for a chip, claiming that the cat is too aggressive to check. Hence, why we TNR people insist on ear tipping. Those cats are protected and had BETTER be checked for their chip, because they have one. Dee, I am surprized to read that most shelters won’t check for a microchip. That seems very strange to me. What’s the point of microchipping? I’d have thought that all shelters would automatically check. I must be missing something. Understand, most kill shelters will not check for microchips if any cat isn’t cooperative, much less a hissing and spitting feral. They are afraid and could be called “p-ssies”. As I said above, that is exactly why ferals are eartipped. Those ferals are microchipped and should be checked. However, because I don’t trust, I cruise our local shelter routinely with the purpose of checking for eartipped cats that haven’t been checked. I get the point. It seems rather a bad way to operate though because even a placid domestic cat may be very difficult under these conditions. Thanks for the info Michael. I just hope that the microchip isn’t as big as that picture above makes it look. I’m having a cat microchiped today . He is a 7 month old cat that i rescued from a neighbor. Microchips are not as benign as people believe in my view. On balance they are necessary but they are a foreign body inside the body. Well done on rescuing a cat. I love to hear about that.